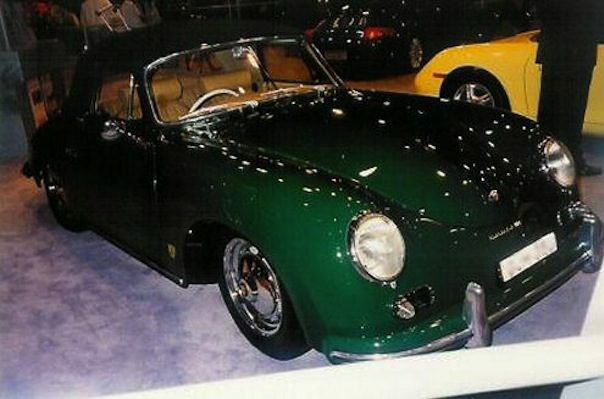 I purchased a Porsche 356A cabriolet in 1995 and then went about finding a professional restoration firm to bring the car back to its previous glory. I asked about and interviewed many prospective restoration company proprietors and settled on O&S Sports Car Restorations to fix the Porsche. The project started in 1996 and was completed in 1997. Each week I would visit the premises and see what progress had been made and speak to the boss at 0 & S and discuss what had been completed and what was the next step. I was regularly amazed at the dedication, enthusiasm and skill shown. In short I ended up with a new 1958 Porsche. It won the National Porsche 356 concours delegance in Melbourne 1997, the NSW Porsche Club concours delegance in 1998 and also in that year, it was the only 356 Porsche to be placed in the top ten of the Melbourne held concours delegance of all makes of Porsche covering fifty years of Porsche manufacture. The car is no longer a show pony and is driven weekly. It is still in knockout condition and it gives me great pleasure to drive and to own. I can recommend O & S Sports Car Restoration to anyone without reservation. They turn out a superior product, no short cuts, no cheap fixes, just premium work and craftsmanship.